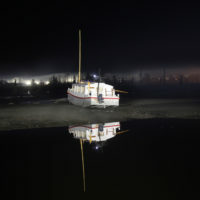 Motivated by the thought of spending two tranquil nights under a starlit sky, our editor invested a lot of time, expense, and effort in shopping, packing, and getting the boat ready for a long weekend cruise, but after spending less than an hour on the water, something wasn't right; he turned around and went home. 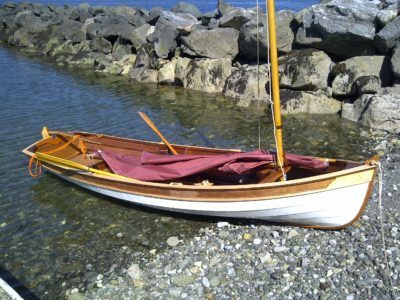 The Drascombe Lugger turned 50 years old last year. 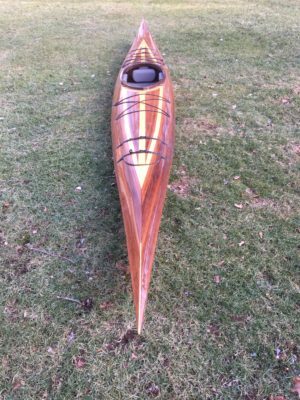 John Watkinson designed it for his own use and built the first in plywood. The design caught on and in 1968, Luggers went into production in fiberglass and have since done everything from afternoon outings to ocean crossings. Kevin Power's grandfather was born in Nova Scotia and grew up using locally-built dories. 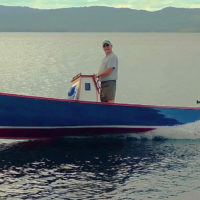 The affection for the Banks-style dories was passed down to Kevin's father and to Kevin, so when he decided to build a boat it was fitting that he ordered plans for Jeff Spira's Nova Scotian. When you have a canal boat but no canals, sloughs will have to do. Our editor spent three days cruising the tidal waterways that surround Everett, Washington, and took his chances anchoring at night on falling tides in unfamiliar places. 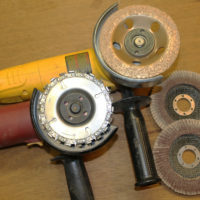 Angle grinders are standard tools for working metal, but they can be equipped with special wheels designed for working wood, and spinning at over 10,000 rpm, they can move wood very quickly. Bob Burns was finishing the final year of a career in data management and his forward-thinking wife bought Jericho skiff plans for him for Christmas, expecting the project would keep Bob from growing idle in retirement. When he retired, the boatbuilding project did keep him busy, but not for long. In six months the skiff was ready to launch. We all grow up with chairs and take them for granted until we have to do without. Helinox chairs bring to campsites the comfort and back support we've become accustomed to. You can buy a pair of rubber boots for $15, and they may keep your feet dry but be far from comfortable. We take a look at two pairs of Muck Boots—one for men and one for women—that will keep feet dry, warm, and happy.